Coal fired boiler heat is needed to cook food and thus to render it softer, smoother, more digestible and in general more appetizing. Heat is also needed for many other operations, as sanitation of packaging at pre-filling stage, pasteurization or sterilization of packaged food, cleaning and sanitation procedures of equipment, surfaces and food plant in general. Heat is often delivered via hot water, usually produced by steam boilers. Steam boilers are two-phase-flow heat exchange equipments: on one side is a boiling fluid, on the other side is either a single-phase or two-phase flow. If the equipment is such to provoke water phase change from liquid to vapor in a controlled and continuous way, it is also defined as “steam generator”. Steam produced by coal fired boilers is usually forced into heat exchangers, devices in which heat is transferred from a hot fluid to a cold fluid or mass commonly through a thin separating wall that can take on a wide variety of geometries: metal structures as pipes or plates in order to indirectly contact the food/beverage and transfer heat to it. Less commonly the heat exchange is not through a metal wall and there is direct contact between hot steam and food, uperization processes for milk treatment. In this particular example, heated water quality must be food grade; in all other cases, feed-water microbiological quality is not paramount but other parameters are, as mineral content, in order to prevent fouling. Fouling is the accumulation of undesirable substances on a surface, and can rapidly diminish heat exchange efficiency and increased pressure drop in steam boiler equipment, especially in presence of an high surface area to water quantity ratio. Fouling of heat transfer surfaces introduces one of the major uncertainty factors into the design and operation of coal fired food boilers. 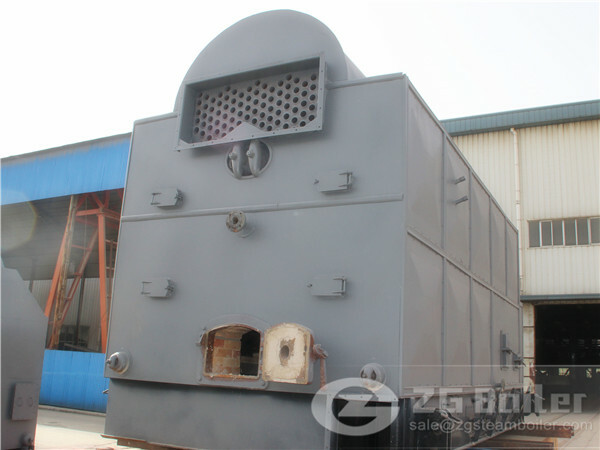 ZG can supply many kinds of coal fired boiler according to the requirement of customer in Africa.